Rotarian Richard Thorpe, who is President Elect of the Rotary Club Botany East Tamaki in Auckland, NZ, has been combining his passion for cycling with an annual activity to raise awareness and funds to support his charity of choice. The fight to eradicate the world of the deadly Polio virus. Richard, a passionate cyclist whose view of the perfect holiday is to cycle the Tour de France route, has for the last few years used the Contact Lake Taupo Cycle Challenge race as an opportunity to raise funds to fight through sponsoring his annual effort. Many thousands of dollars have been raised as a result. However, this year work commitments have taken him out of the country, so he refocused and found an equally challenging substitute. 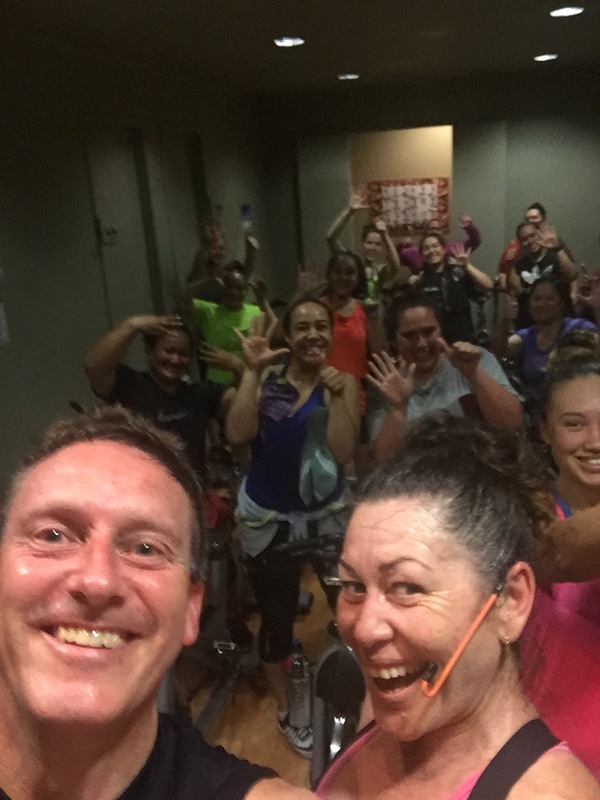 With the support of the team at 24/7 Fitness at Auckland Airport he set his sights on completing eight full hour long RPM high intensity indoor cycling classes in six days from November 16 to 21. Sponsorship raised $2500, and with the Bill and Melinda Gates Foundation matching this 2 to 1, Richard is justifiably proud of the $7500 total that his efforts have contributed to The Rotary Foundation’s global Polio Plus project this year. Imagine a world free of deadly pandemic disease. People like philanthropist Bill Gates and Rotarians throughout the world do. Rotary International has partnered with the World Health Organisation (WHO), the Centres for Disease Control and Prevention, the United Nations Children's Fund (UNICEF), the Bill and Melinda Gates Foundation and many governments of the world in a campaign to help eradicate the world of this deadly disease. In 1979 when the first Polio vaccinations began, there were 125 countries infected with endemic levels of Polio virus. Hundreds of thousands of people each year suffered devastating sickness, paralysis, deformity of limbs and for a significant number, ultimately death. A simple vaccine however has changed this picture and eradication is now in our sights. Since 1979 the combined global vaccination efforts have reduced the spread of Polio virus. Afganistan and Pakistan, with their warzone borders, now remain the last two countries with significant levels of the wild Polio virus. As with all disease, it can be easily spread if precautions are not put in place and Rotary along with its partners remain hard at work supporting the vaccination programs globally. Bill Gates fronts a popular campaign holding up his hand with a small gap between his thumb and forefinger. “We’re this close”, Rotarian Richard Thorpe says to eradicating Polio. This will only be the second such virus to be eliminated since the WHO declared the world free of Smallpox in 1980.